Chippy really went out of his way to drive us to the beach and Devil’s Bridge and showed us St. John before our flight since we didn’t have a car. There is one place close by for meals called island view. Excellent food. They made delicious pan fried locally caught fish (you can ask for no batter) and plantain. The coolness of the environment was awesome and my husband and I loved the seaside. Made for good relaxation and conversation setting. Nice quiet location 2 minutes walk to stingray city. The place was close to a bay, with easy access to the sea activities. A great, little out of the way place that allows you to be in Antigua far from the madding crowd. Chippy, our host, was fantastic. Always friendly and willing to help. Nothing was too much trouble. It is simple, clean accommodation. Do not expect the ritz or Park Hyatt facilities. If you want something charming, clean and easy, then Ellen Bay is well worth it. Also note, there is a little shop nearby that has the essentials, but if you’re staying for more than a few days, then going to a bigger supermarket would be a good idea. Also, hiring a car (either from Chippy) or from the airport, is highly recommended, if not essential if you want to see any of the island. I visited Antigua for two weeks and Ellen Bay Cottages was by far my favourite stay. 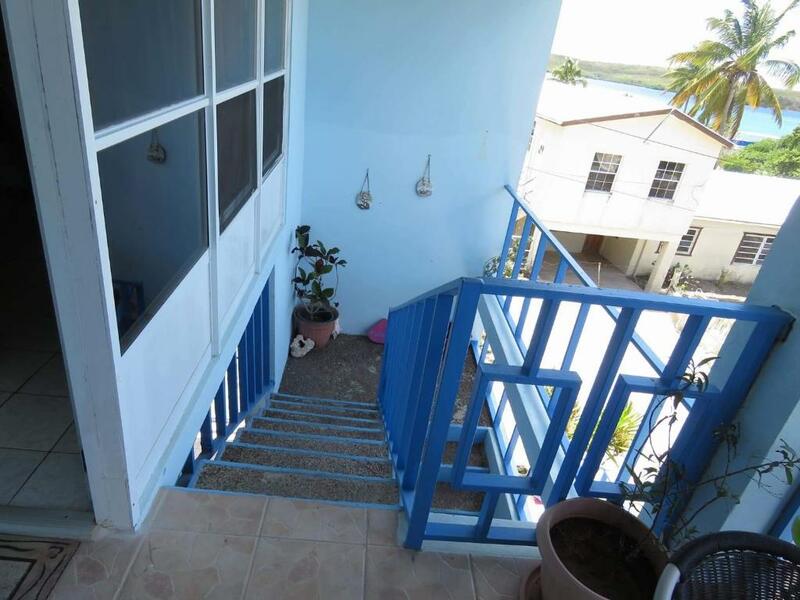 The property is in such a peaceful and beautiful location right by the waterfront where you can watch the fishermen and boats from the balcony. I very much enjoyed listening to the wonderful sounds of all the birds and nature and watching the sky change colour in the evenings. The bed was really confortable. 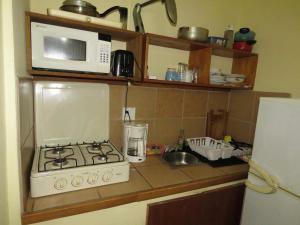 Apartment very spacious and great facilities for self catering. Property is close to long bay beach and if you have a car it’s easy to get to English Harbor:Falmouth. There is also a local bus which goes from Seaton into St John (short walk from the apartment) Bernadette and Chippy run Ellen bay and they were both extremely helpful and kind. I very much hope to stay at Ellen bay cottages again - oh and the WiFi was amazing and lots of cable channels to watch! The property was beautiful. The oceanview was spectacular. Staff was polite and cared about my comfort. 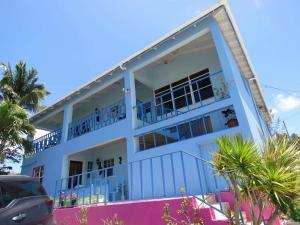 I recommend Ellen’s bay cottage to anyone travelling to Antigua. All good, nice breeze if you don't want to use the AC. Pickup to and from Airport was smooth, talk to Chippy about renting a car right away, saves a lot of trouble. You can actually take a swim like 50m from the apartment. Not a beach, but totally doable if you want to get in the water. Closest (wonderful beach) 10 minutes drive. If you don't mind the drive, it's a great value. Don't expect fancy, but all usable and clean. My bed linens were changed. Sally and chippy were very accommodating and friendly. We had our conference in the beautiful backyard. The proximity to the bay and the view of the ocean is amazing. The suite could accommodate our evening get together and we slept on really comfortable beds. Already planning another reservation. Lock in a great price for Ellen Bay Cottages – rated 8.6 by recent guests! Ellen Bay Cottages This rating is a reflection of how the property compares to the industry standard when it comes to price, facilities and services available. It's based on a self-evaluation by the property. Use this rating to help choose your stay! Ellen Bay Cottages is located 350 feet from Long Bay Beach and 5 minutes’ drive from Nonsuch Bay Beach. It features free Wi-Fi and activities like diving, fishing, hiking and snorkeling. The air-conditioned apartments feature cable TV, a sofa and a furnished terrace with garden and sea views. 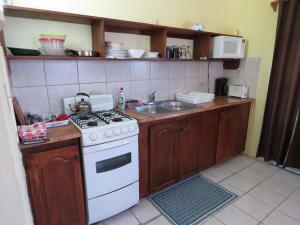 The kitchen is fully equipped with microwave, stove, dining area and BBQ. The bathroom is private and has bath or shower. Guests can also enjoy a 20 minutes scenic boat ride in the North Sound Marine Park to as far as Great Bird Island. Stingray City Antigua is a 2 minutes' walk away. This accommodations is 5 minutes’ walk from Antigua Paddles Kayak and 20 minutes’ boat riding from North Sound Marine Park. Devil’s Bridge is 15 minutes’ drive away and VC Bird International Airport is a 30-minute drive away. 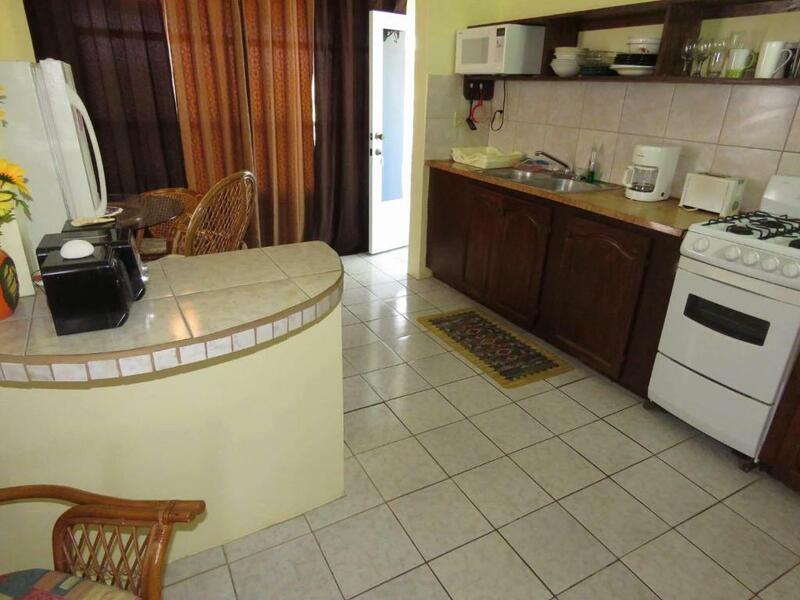 This property also has one of the top-rated locations in Saint Philips! Guests are happier about it compared to other properties in the area. 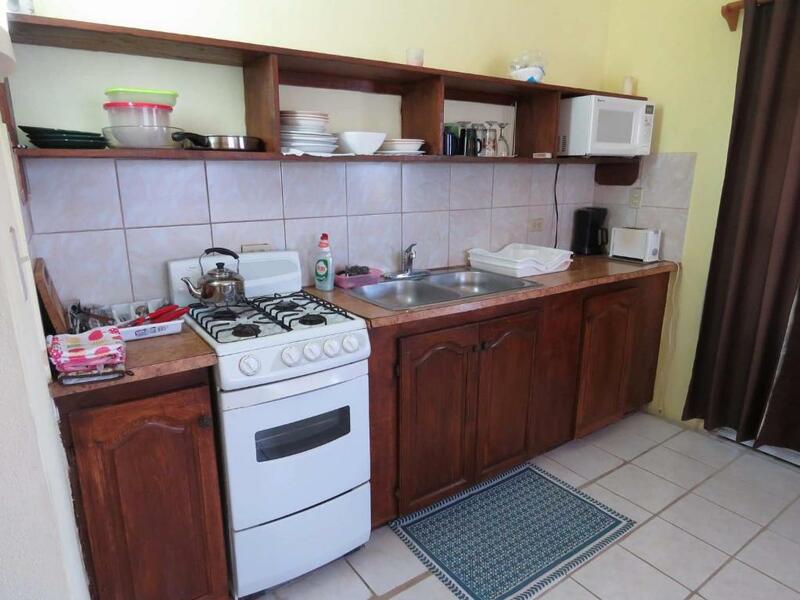 This property is also rated for the best value in Saint Philips! Guests are getting more for their money when compared to other properties in this city. When would you like to stay at Ellen Bay Cottages? 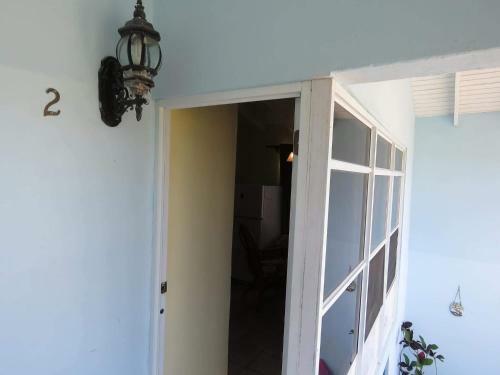 This air-conditioned studio features free Wi-Fi, cable TV, a sofa, a fully equipped kitchen and garden and sea views. The bathroom is private. 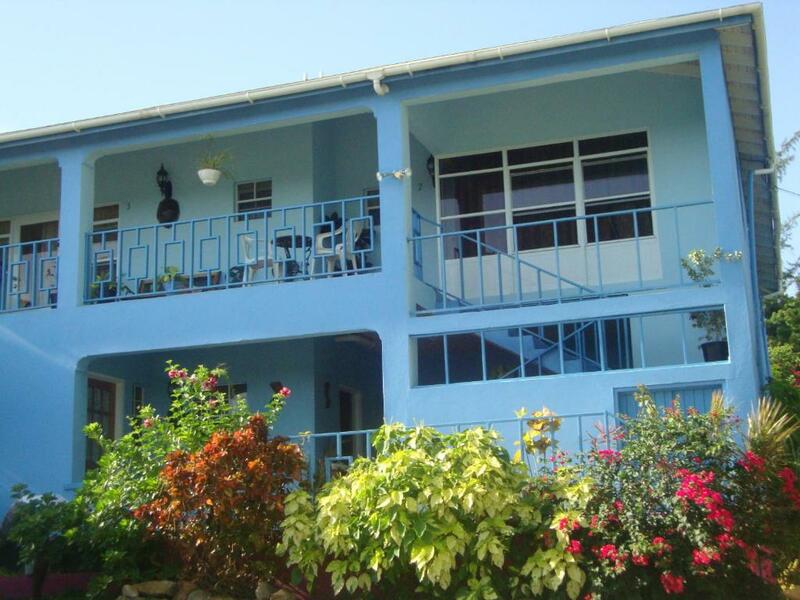 This air-conditioned room features free Wi-Fi, cable TV, a sofa, a fully equipped kitchen and garden and sea views. The bathroom is private. This spacious, air-conditioned room features 2 Queen-size beds and 1 futon, free Wi-Fi, cable TV, a sofa, garden and sea views, a fully equipped kitchen with fridge, stove and kitchenware. The bathroom is private. 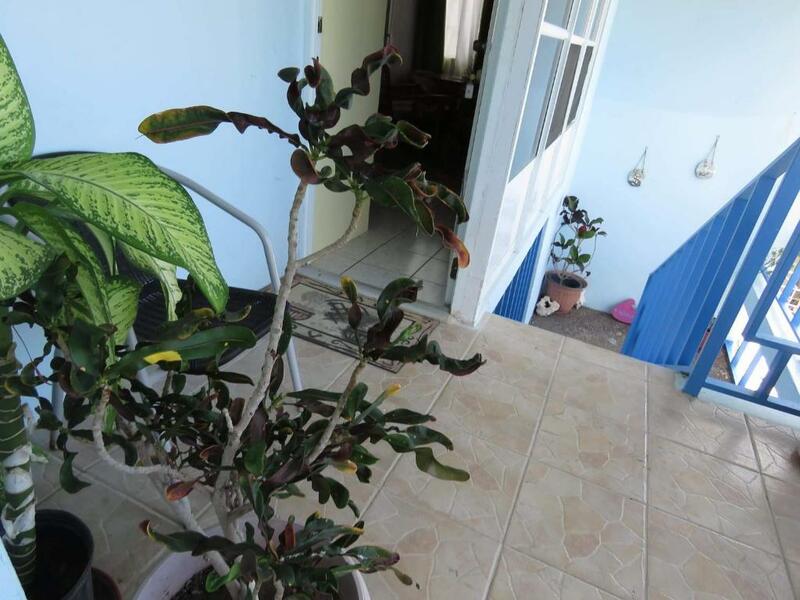 We aim to provide an environment where guests can experience a typical Antiguan lifestyle. Our self catering facility is located right on a seafront, and includes all the necessary amenities that would provide an enjoyable home away from home stay. We are passionate about ensuring that our guests are comfortable and satisfied with their stay. We like to share our Antiguan life experiences, and are happy to provide any assistance that would lead to an overall enjoyment of the island. We are on the eastern coast of Antigua and share the waterfront with Stingray City and Antigua Paddles Kayak tours. Historic sites such as Devils Bridge and Betty's Hope, and beaches such as Long Bay and Half Moon Bay are a short drive away. House Rules Ellen Bay Cottages takes special requests – add in the next step! Ellen Bay Cottages accepts these cards and reserves the right to temporarily hold an amount prior to arrival. The owner broke all protocol by entering my room whilst sleeping (he told me this). Also he opened my locked door when I did not want to sit with him late at night. I felt violated and intimidated and would not recommend lone women to stay at this accommodation. The mattress could have been more comfortable and the room was a little dated and stuffy. But honestly the hotel is excellent value for this island. Never figured out how the stove worked, but i did not ask, so... Chippy, please show the guests how to use the stove when they come in. Everything was superb. No complaints. It was the perfect spot for our group meeting. Even got some fun in, walking along the bay. I would recommend for business or leisure. Important. The road leading down into Ellen Bay. The bed had four fluffy pillows, nicely pressed sheets and a lot of good quality towels. The person who looks after the guests is a lovely lady, full of charisma and interesting stories. She can also help you to get good discounts on local attractions. There is also a brochure in the room explaining all essential information. The guys at the Stingarey City are really good at what they are doing and have jokes coming. The couple who runs the nearby Paddling Centre are lovely too. It’s a perfect place to stay for 2 nights on the island. Ceiling!! I wanted to paint it !! Sally was very helpful and for studio accommodation it was much as we had expected in a very quiet area near kayaking and stingray city so could see the boats going off in the morning ,kayaking called off as weather was windy with swells and company very good about contacting us to cancel. Accommodation could do with a lick of paint but on the upside had all you would need hairdryer kitchen equipment microwave iron and we would have stayed longer had it not been booked.